Apapane. 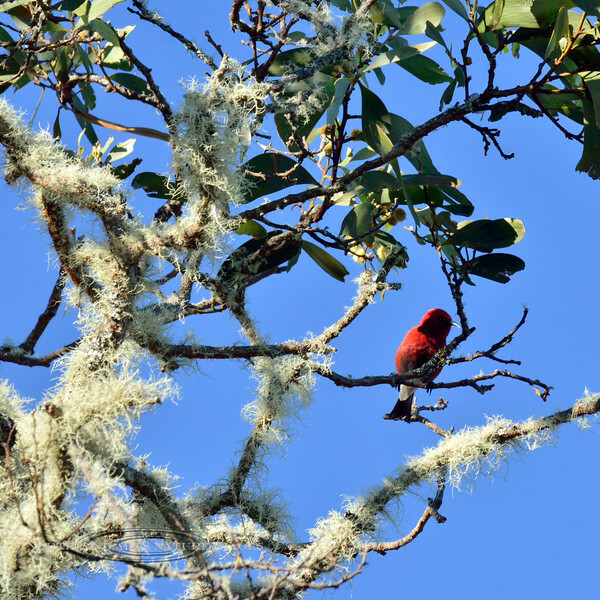 An endemic honeycreeper of the high elevation forest in a Koa tree with typical lichen covered branches. Hakalau Forest, Mauna Kea. Hawaii. #23.1439.